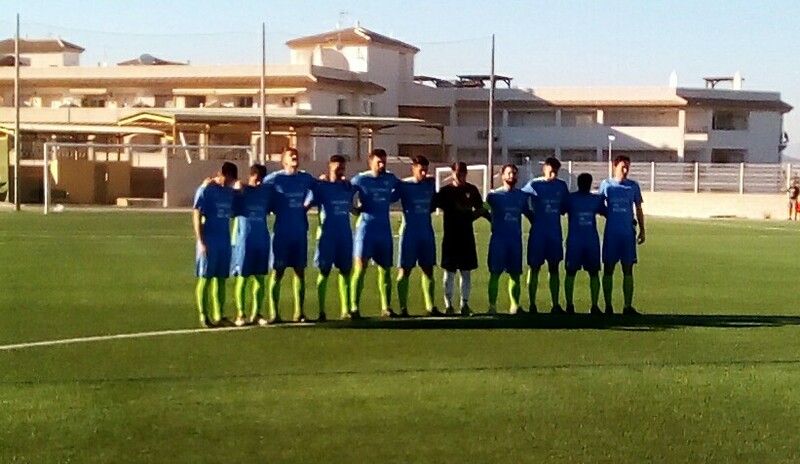 CD Montesinos and Hondon Nieves stand in a one minutes silence before kick off. Photos: Andrew Atkinson. 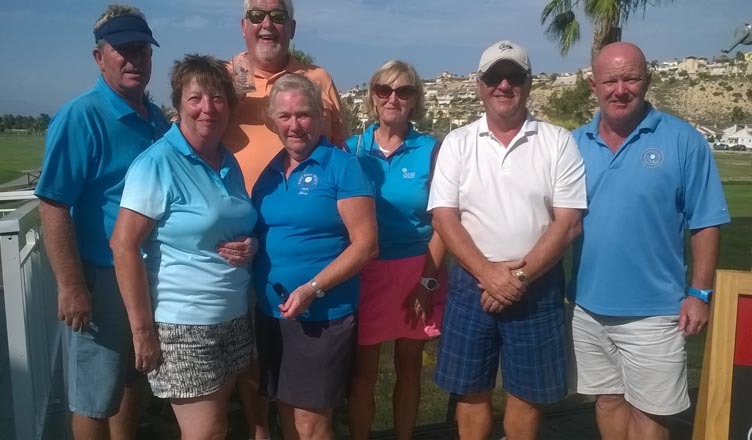 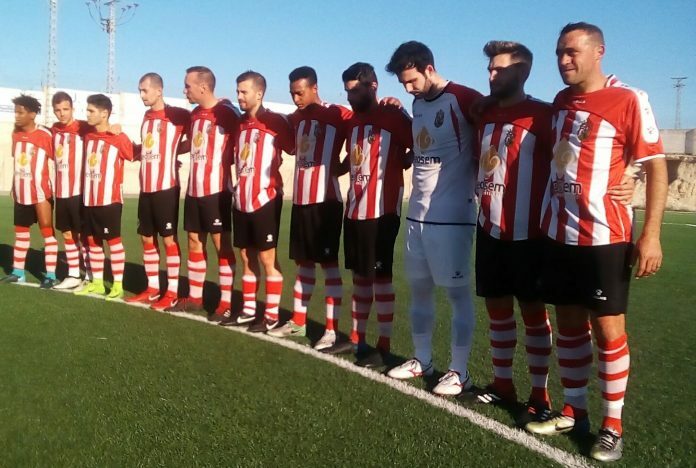 A minutes silence before the Valencia 1st Regional Group 8 fixture between CD Montesinos and Hondon Nieves took place in honour of Montesinos supporter Chris Jenkins who died in January, with both teams and fans paying their respects. 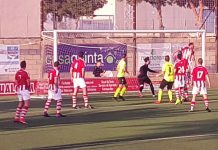 Montesinos suffered a 2-0 defeat, with a defensive error leading to Hondon netting on 30 minutes, and a controversial goal on 44 minutes, with claims of offside ruled out by the referee. 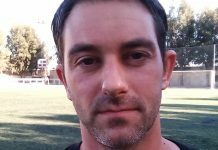 Monte keeper Carlos made some fine saves, with striker Vazquinho, and man of the match defender Alex noted. 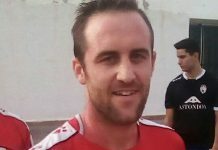 Montesinos midfielder Maccan came off the bench, returning to action after a month on the sidelines, after sustaining a foot injury. 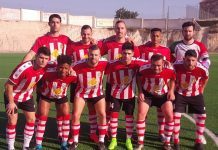 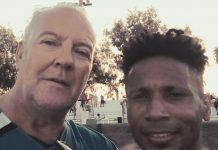 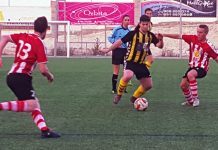 In a game that saw the referee book eight players, Montesinos’s defeat did little to erase relegation fears, with the Los Montesinos outfit sitting in tenth place, on 23 points, a mere three points above second bottom CD Dolores. 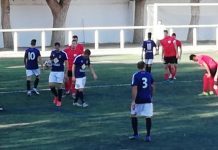 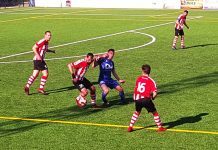 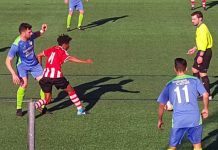 San Fulgencio defeated CD Dolores 3-0 on Sunday, with the Derby clash between Santa Pola and Santa Pola CF ending goalless.